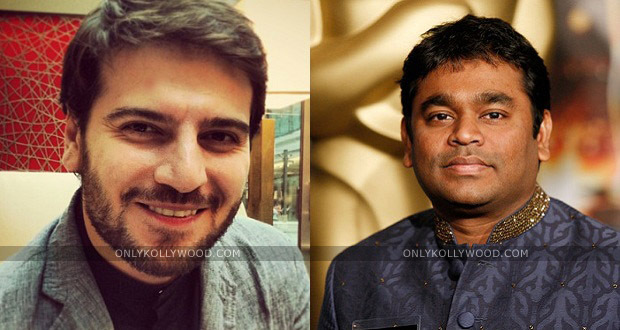 Sami Yusuf, one of the biggest icons in the Middle East, has recorded a song for AR Rahman for his upcoming film Muhammed directed by Iranian film-maker Majid Majiidi. Sami Yusuf is one of the most loved icons across the world and proclaims his genre of music as Spiritique. Sami also holds international recognitions like ‘Biggest Star in the Middle East’, ‘King of Islamic Pop’, ‘Islam’s Biggest Rock Star’, ‘BBC’s 30 More Famous Britons’ accredited by illustrious media houses like Al Jazeera, The Guardian and Time Magazine. Speaking about his working experience with AR Rahman to a radio channel, Sami says, “AR Rahman is a good brother of mine, I have known him for about eight years. We are fans of each other, I’m a bigger fan of course, but we like each other’s music.” Slated for release in 2015, Muhammed deals about the life of Prophet Muhammed and is one of the much-anticipated films in Iran courtesy Majid Majidi’s celebrated repertoire.